Fennel is fantastic in so many ways. 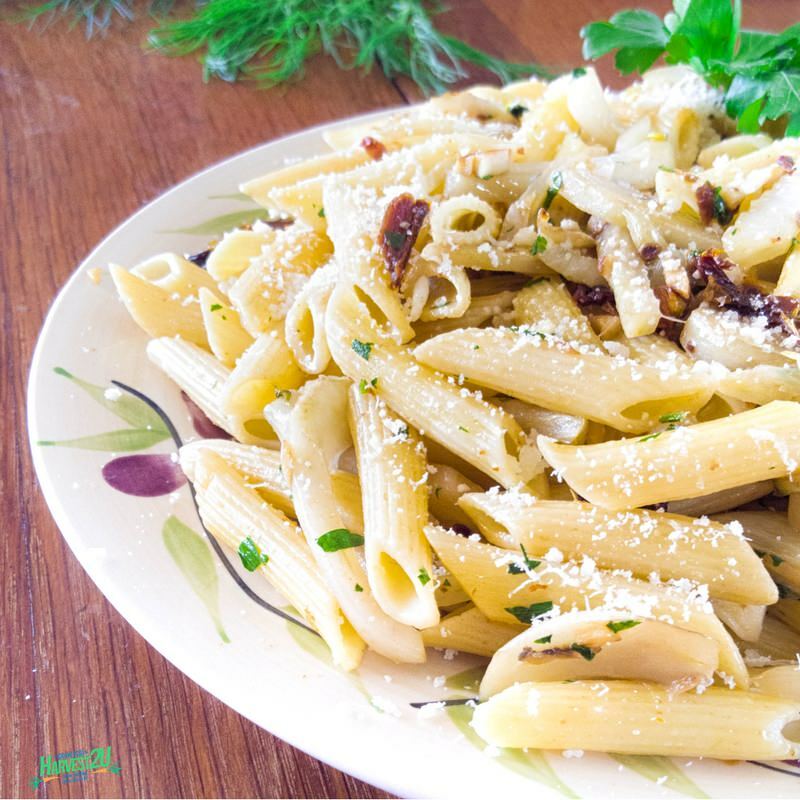 This fennel and sun-dried tomato pasta recipe prove that! It’s high fiber content, and loads of nutrients make this licorice-flavored bulb very heart healthy. I don’t let any of it go to waste: the fennel fronds can be tossed into a salad or chopped up in a tomato sauce, the stems can be broiled alongside fish, and the bulb is terrific baked with some Parmesan on top. This recipe uses just the bulb with the core removed. Save the core and tough outer layer to go in your next batch of stock. Save about 1/3 cup of the cooking water and then drain the rest. While the pasta is cooking, in a large skillet heat olive oil over medium heat add garlic and fennel and cook until lightly brown, about 5 minutes. Add sun-dried tomato and parsley. Deglaze the pan by adding the pasta water to loosen the brown bits on the bottom of the pan. Add in pasta and stir until combined. Stir in 1/4 cup Parmesan cheese. Serve with additional Parmesan and parsley.